Wow! Interesting, I might have the same issues with Kate as you, can't stand when characters whine! But I'm sure I will get over it! OMG the end was like WHOA!! I am really looking forward to the next one too. I am reading The Goddess Legacy right now. Did you read The Goddess Hunt? It takes pace between the first and second book. I loved it. Well, you made me want to read it! I love a twisted ending:) I see you love paranormal romance . 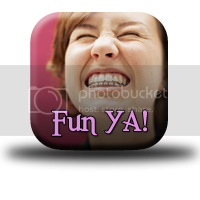 . . if you stop by my blog this week Jaime Rush is giving away her book that was released today. She's not YA--but her next series will be. I was so excited for this book, but I didn't love it. I was so annoyed by Kate and Henry. I didn't like the ending. Surprisingly, Persephone was my favorite character. Man, I sound like a grump. Sorry! 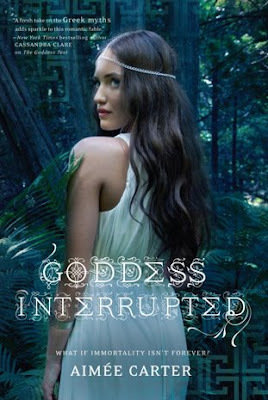 I'm glad you enjoyed Goddess Interrupted! Oh and Kate's already annoying me! If you've read book #1 of this series you totally have to read this one! If you didn't, read it so you can read this one, seriously, this was totally entertaining, juicy and tense and romantic but full of action and adventure! Must read, definitely going on my most loved mythology-revamped top reads.